New at our Garden Spa: a deep-tissue bamboo massage so relaxing it will send you drifting in space! Our fascination with this plant is rooted in heritage - building with natural elements such as bamboo and glass, we've created more room for rejuvenation. 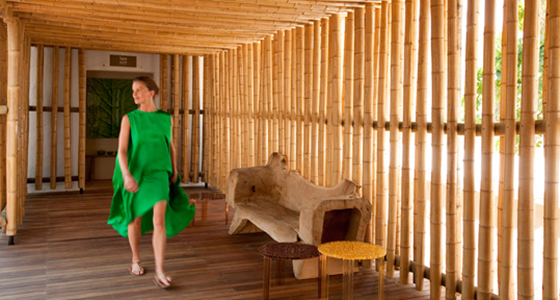 Now, we also use bamboo in one of our spa treatments.